22-18 AWG Female Bullet Connector - Insulated Quick-Connect Crimp Terminal: Male Bullet Connector Being Crimped. Female Bullet Connector Being Crimped. Male and Female Connectors Being Connected. Connected and Crimped Bullet Connectors. 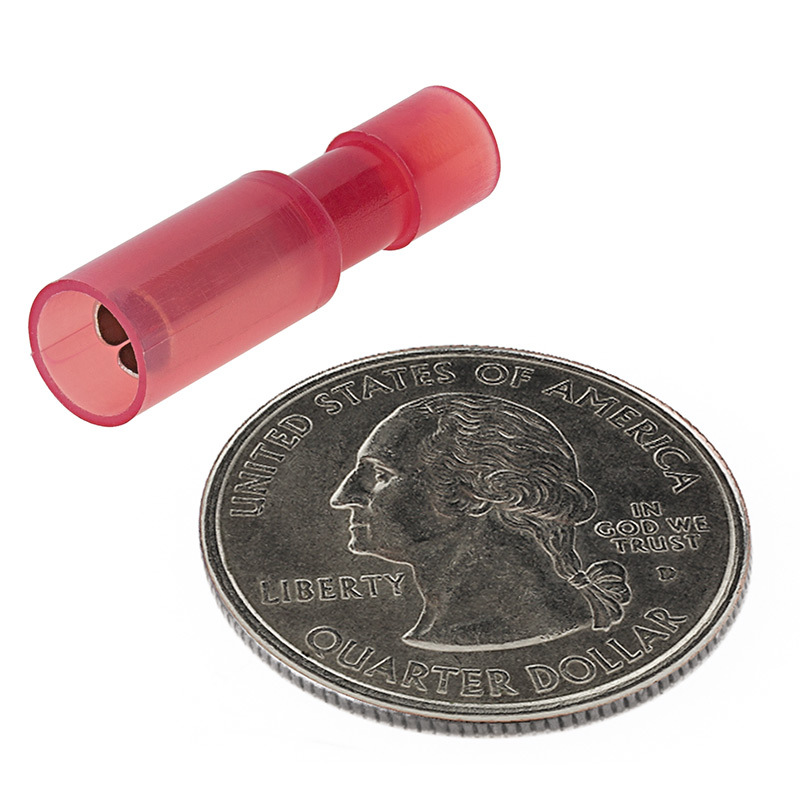 Use this female bullet connector to quickly connect and disconnect 22-18 AWG wire. 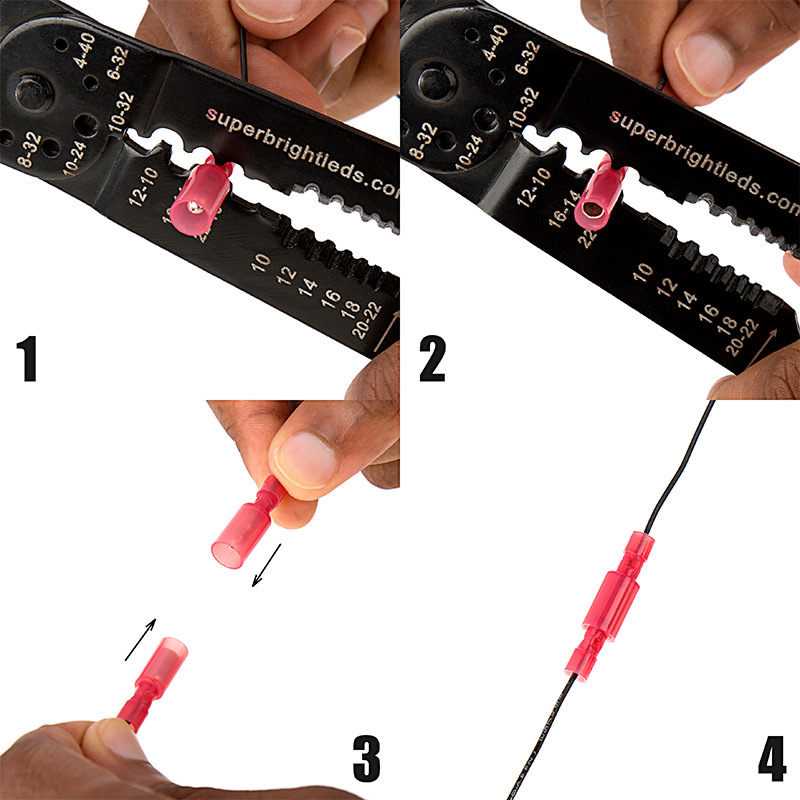 The fully insulated terminal is made of clear nylon to easily inspect connections. 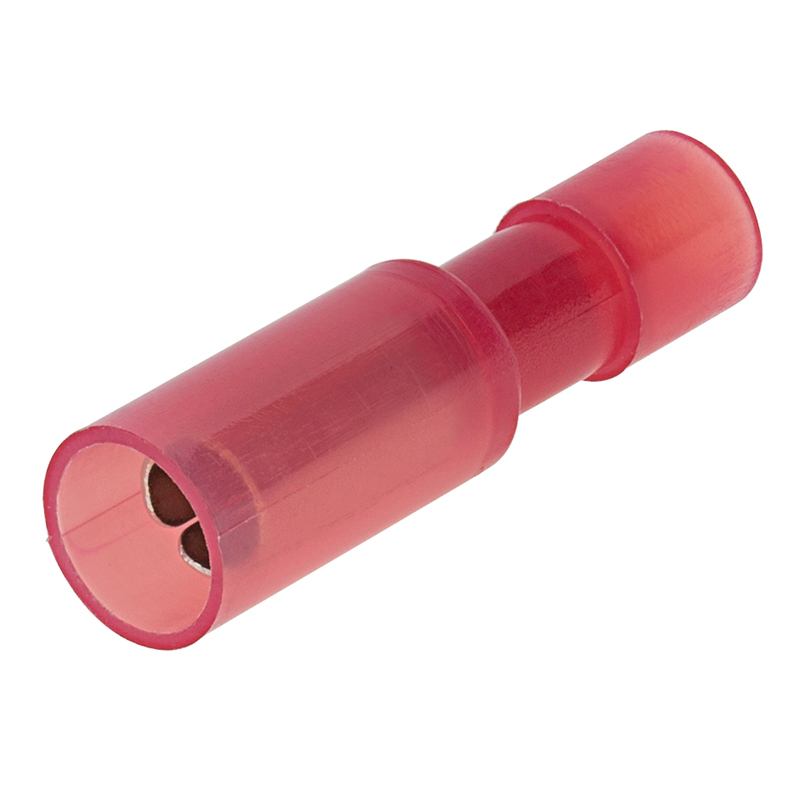 This terminal mates with 22-18 AWG and 16-14 AWG male bullet connectors.